Supporting the local community with personalised, affordable and accessible services since 1968.
at your local hub for services, support, activities and events. Check out a diverse range of events and activities. 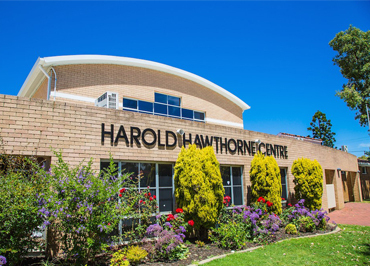 With ample space, state-of-the art facilities and committed staff there is something for everyone at Harold Hawthorne Community Centre. This space is huge! With solid, sprung wood floors, large stage, fully functional kitchen and a servery, conveniently located opposite Transperth train and bus services, Memorial Hall can house your event or activity. State of the art AV coming in 2017. 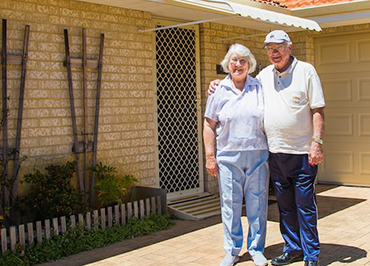 The Over 55's Village boasts 41 independent living units in flourishing gardens and well-maintained surrounds, in a quiet street with public transport close by. Affordable one and two bedroom units are available now. Affordable, quality meals can be delivered to your door 5 days a week by our dedicated and reliable staff. 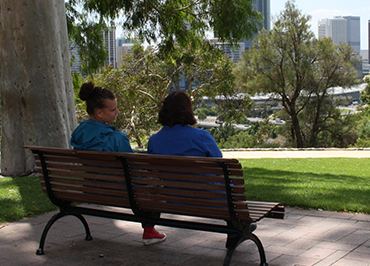 For residents of the South-East Inner Metropolitan region, we can help you eat well at home. With a commitment to the wellness approach, our programs promote socialisation and help seniors and people with disabilities to maintain functionality for independence. With a pleasant garden space, kitchen, lounge and activities area, it’s always a good day at the Social Activities Centre. Access a range of health and wellness activities including a visiting beauty therapist and podiatrist, Tai Chi and Yoga sessions, and the Book Exchange. Download our What's On for more information.